Do you know which of your products customers like the most? Let them show it! 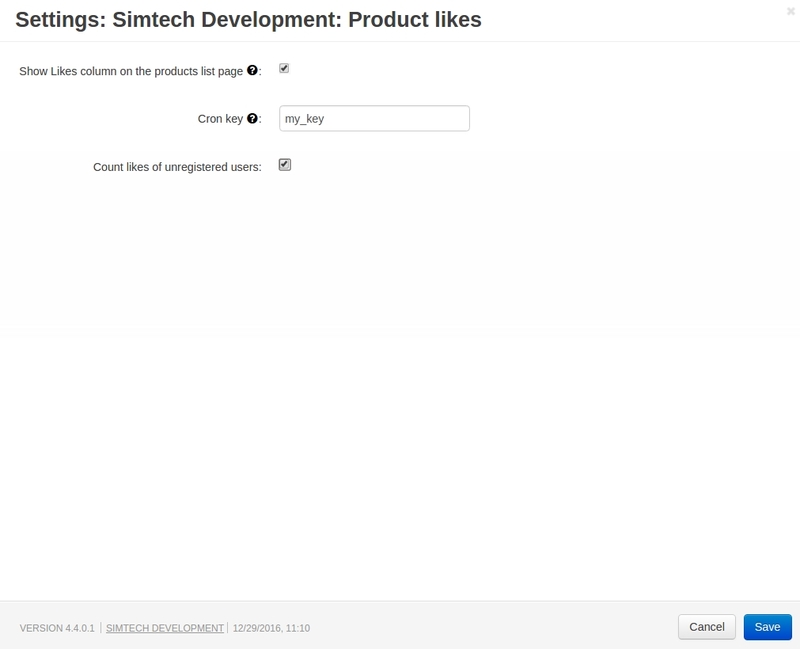 The add-on automatically counts the number of product likes and shows under the product image. The extension adds a Like button for the product images. It allows your customers and you to see the preference of the visitors of your web store. The customer can see their likes on the My account page. Additionally, you can create blocks for the most liked products and filters for them. 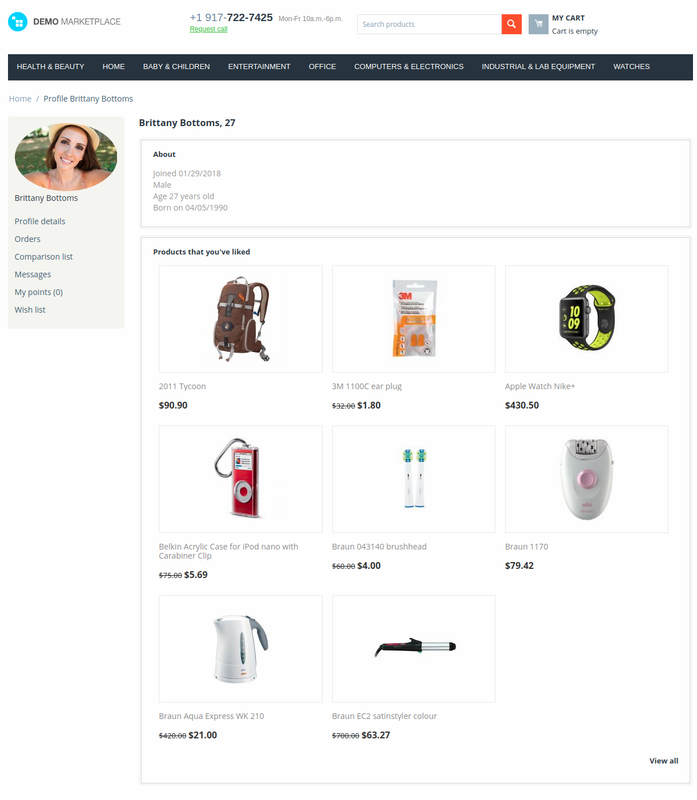 If you use the User Profile Page add-on, you can show the products the user likes on the profile page. Clicking View all link will open the page with all liked products. [~] The add-on has been adapted to the YOUPI third-party theme. [~] The Product Like button display has been improved. [-] The 'Show button name' setting has been removed from the add-on settings. [~] Some add-on titles has been changed on the My profile page. [~] The back-end code of the add-on has been optimized. [!] When unauthorized users liked a product, then registered/logged in, the liked products were not added to the list. Fixed. [!] Some space is shown before the Like button for unregistered customers. Fixed. [!] A language variable was broken in the block manager and settings. Fixed. [!] Incompatibility of the add-ons YouTube, Product Likes, Premoderation of Vendors changes. Fixed. [+] Likes count on the category page was added.